The VF SERIES BENCH MAGNIFIERS are adjustable focus magnifiers for 10 and 15 power magnification, designed with individual focus ring and precision optics. 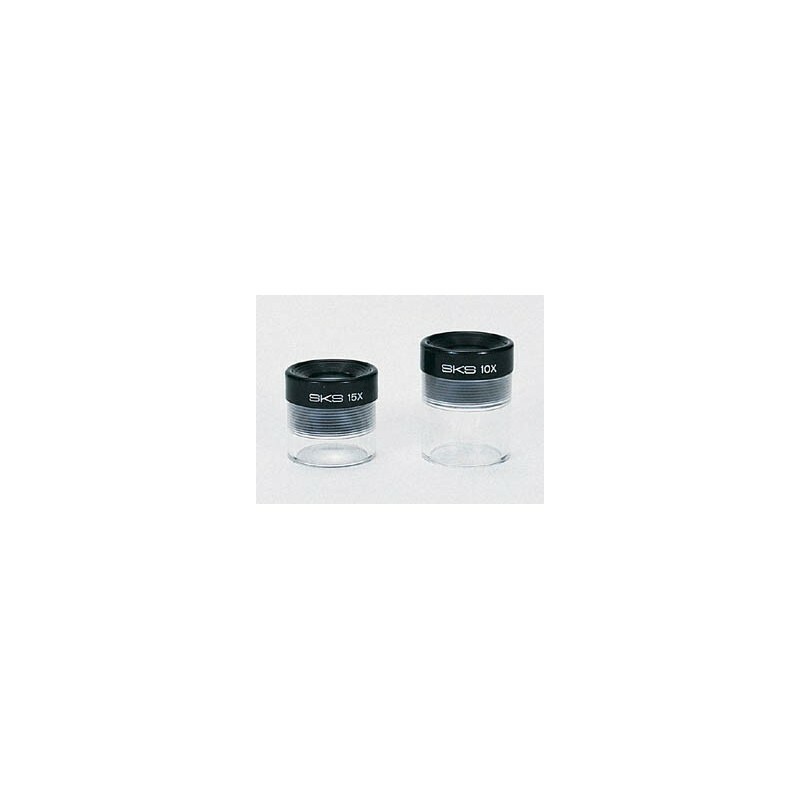 Magnifier VF-10: Lens Diameter: 3/8". 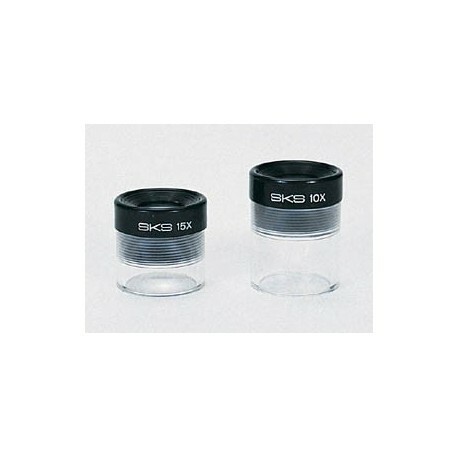 Dimensions: 1-1/4"W x 1-1/2"H x 1-1/4"D.
Magnifier VF-15: Lens Diameter: 3/8". Dimensions: 1-1/4"W x 1-1/4"H x 1-1/4"D.